AFTER: We kept the “book”, but added a whole new dimension to it. How we came to the idea of the logo icon. 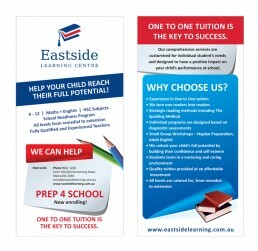 DL brochure designed and also distributed around Eastern Suburbs by our sister company GotMail. 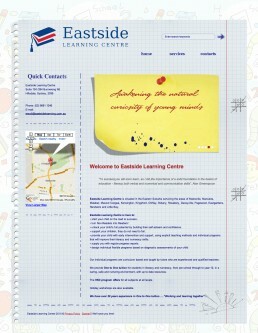 One of the initial pages designed for the website.